At this year’s Affiliate Summit East, we partnered with Acceleration Partners (AP) to dig deeper into a study we recently conducted together called “Performance Evolution: Putting the Brand Budget to Work.” For this study, we went straight to the source and surveyed 2,300 performance marketers about the evolving performance marketing landscape. 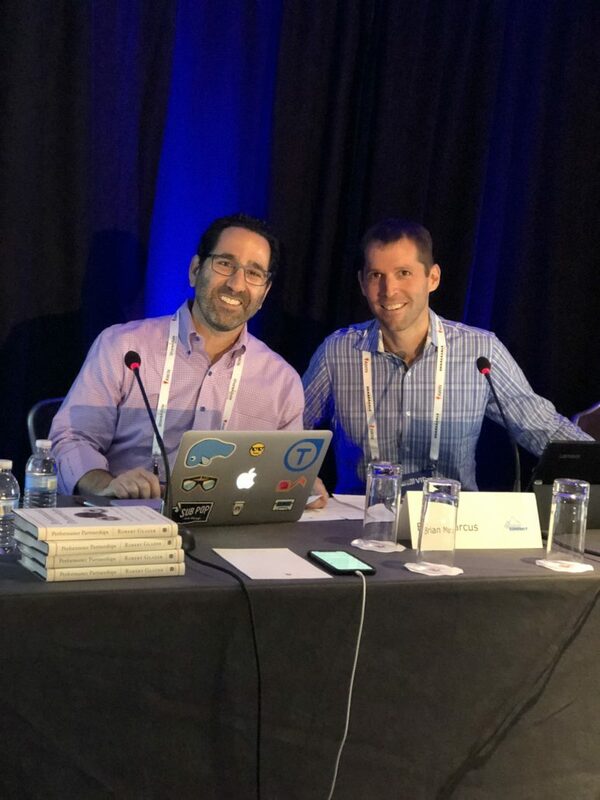 To dive into the results, AP’s CEO Robert Glazer and TUNE’s VP of Global Marketing Brian Marcus hosted a fireside chat at ASE ‘18 in New York, where they also shared their thoughts on the ever-changing affiliate and performance marketing landscape. Based on the findings from the partner study, Brian and Robert taught us that partnership is not an if, but a how proposition. Meaning, outside of blatantly bad behavior, marketers have an opportunity to work with just about any partner, for the right cost, and under the right conditions. It comes down to how much you’re willing to pay for traffic, at what price, and how much effort is required to manage the relationship to its best potential. With the advent of affordable measurement and management tools, marketers are now empowered to engage in more flexible ways, without the risks associated with traditional business development partner relationships. 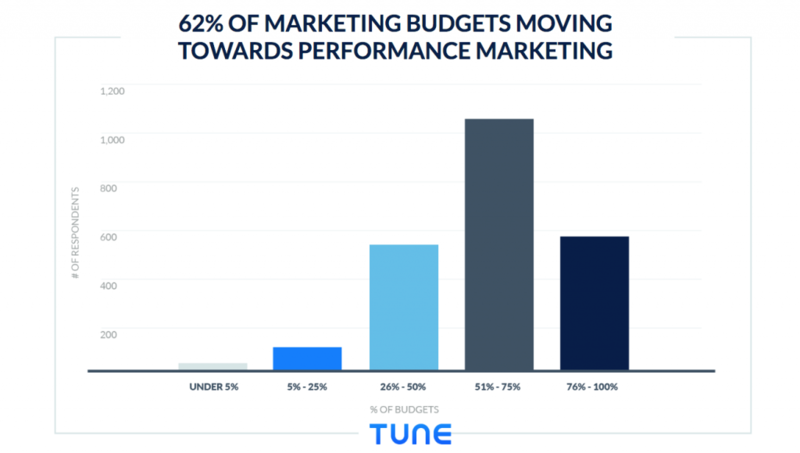 62% of performance marketers see budgets tilting in the favor of performance marketing efforts (such as affiliate and referral). A significant portion of study respondents — 70% — feel that between 50% and 100% of marketing budgets will move to performance channels. That’s massive! ROI provides a winning business case to get initiative funded. Performance marketers themselves have evolved and are now working at every corner of the ecosystem. 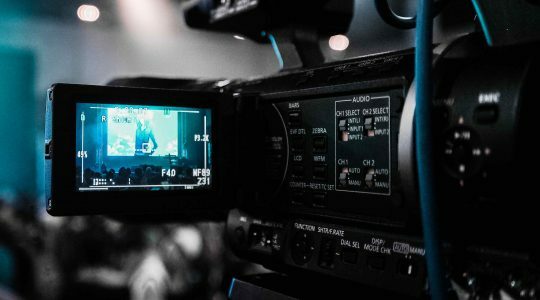 Performance marketing functions exist in places like agencies, technology companies, business development departments, and other parts of the organization that were considerably more traditional than where they are today. “When you think about performance marketing, you have to have measurement. If you can’t measure it, you can’t manage it.” And marketers have to be able to measure anything and everything. This implies that those companies formerly called tracking technologies have to think about doing more, including cross-device and cross-channel measurement. Attribution systems have to be granular and flexible, and help marketers tie the investments to the specific outcomes. “Times have changed, technology has changed, and costs have gone down. There’s an opportunity for any marketer to be able to run their own program.” What seemed largely impossible a few short years ago is commonplace today. Any company that has an established brand can now directly work with partners without the overhead and at a fraction of the cost. Breaking even from such an arrangement just became significantly more achievable and keeping up with technology is a worry of yesteryear. “Performance partnerships give you the ability to assess your marketing relationships on a level playing field … Performance marketing is a vocabulary for talking about things you measure and the value you get from your relationships.” Every partner that drives a measurable outcome across the customer journey could be assessed with the same metrics, if they are measured on the same platform. This is not a purely marketing-based world. Engineers and technology teams need to be onboard to connect all of the pieces successfully and effectively. Deeper integrations between companies require development time. Product management teams have to be brought into any solution and be a voice at the table. “Think about your data strategically — think about what you don’t know versus what you do know.” Don’t let dashboards drive your answers. Let them serve up the required information for humans to interpret and take action. 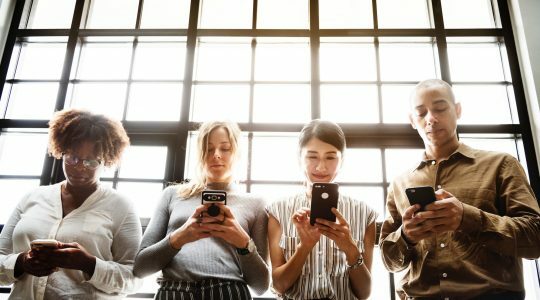 As a final takeaway, with automated network management on the horizon, marketers today need to “spend time building the best relationships you can build.” As technology takes on tasks that are repetitive and process-driven, the marketer is freed up to be more creative with the types of partners they work with and the ways they structure relationships. Let the technology handle mundane, repetitive, process-driven work … differentiating your business will be dependent on the “company” your company keeps. 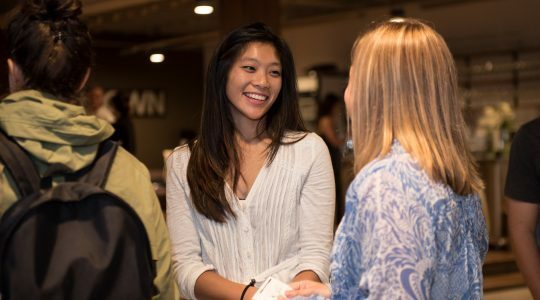 Couldn’t make it to Affiliate Summit East? Check back here for more as we continue to expand on more of our takeaways from our study with Acceleration Partners. Thank you to everyone who attended our session — we look forward to seeing you at Affiliate Summit West 2019.